Woo hoo! Kellye’s second book, Hollywood Ending, is out on Wednesday (August 8)! It takes place during Awards Season, a three-month stretch that kicks off with the Independent Spirit Award nominations in November and culminates with the grand dame of them all, the Oscars, in February/early March. In honor of Kellye’s new book, we’re sharing our favorite awards show. Like Lisa below, I’ve actually been to a couple of awards shows. I was a seat-filler for the Emmy’s once after grad school and my day job puts on an amazing awards show every year. I love awards show so much that I created my own for Hollywood Ending. (Ladies and Gentlemen, I present the Silver Sphere Awards.) In real life, I love different shows for different reasons: I love the Oscars for the star power. The Grammy’s for the performances. The Golden Globes for the laid back vibe. The Emmy’s because I used to write TV and it’s cool to recognize people I worked with once upon a time. It’s so hard to pick just one. Who doesn’t love any opportunity for Hollywood’s elite to get dressed, get drunk, and get tiny gold statues that usually mean an extra zero in their paycheck and an extra line in their obituary? Weirdly, I have some experience attending award shows. (No, all you doubters out there, I was NOT a paid seat-filler and, sadly, no, I was not nominated for anything that I know of.) I was formerly married to an ad exec, so it was part of his job to attend and I was the eager plus-one. No Oscars, unfortunately (I prefer the Golden Globes anyway, because they include TV as well as film and all the stars are drunk.) But I went to a ton of CMAs (Country Music Awards–black denim, million-dollar boots, and rhinestones required) and the ESPYs (snooze city). Here’s what I noticed about the nominees and honorees: They are all either much, much taller or shorter than us. (The men are shorter, except for the basketball and football players, and the women are taller.) Oh, and much, much thinner. Observation Two: The second they lock the auditorium doors so the audience members won’t get up from their seats and rustle around and ruin the all-important telecast, you WILL need to use the Little Stars Room STAT. And you will never, ever see yourself on TV, no matter how hard you try. I’m not a big awards show person. Despite the fact I’ve been writing for television for almost twenty-five years, I never watch the Emmys. With the same shows nominated year after year, or shows I have interest in nominated, I find them a big old bore. I do watch the Oscars, but purely out of habit. I haven’t been invested in a winner in years and find a lot of the self-congratulatory attitudes of the participants annoying. There is one awards show I love to death, though. The Tonys. The singing, the dancing, the acting! When I lived in New York, Tony night was practically a local holiday. If you had your windows open, you got the show in stereo, because it was playing in every apartment around you. The Tonys inspire me to sing and dance around the house like a veritable nominee myself – but only when the family has left for the day! I’m going to go with the classic: The Oscars! I sometimes enjoy the Tony Awards, but it almost invariably makes me jealous of all the great Broadway shows I didn’t get to see. (That said, I’m all-in on the Tony’s when Neil Patrick Harris is hosting.) With the Oscars, though, it doesn’t matter if you’ve seen the movies or not; you know who the people are, and it’s fun to see what everyone’s wearing. Bucket-list bonus extra: attending the Oscars in person! I don’t know what I’d wear, but it would sure be fun to go out in a dress that costs more than most wedding gowns. And don’t even get me started on the gift bags. Kellye, congrats on your new release! Everyone else, go get a copy and get ready for some vicarious awards-show fun! The Academy Awards are my Super Bowl! Every year, we turn off the phone, bring out the delicious snacks, and settle in to watch from beginning to end. I love the whole thing: the announcement of nominees, the media buzz leading up to the event, the red carpet walks, the interviews, the anticipation of nominees, the naming of the winners, and the speeches. And whenever they start talking about the power of storytelling, it moves me. Yes! So much yes! Stories matter! What about you? What’s your favorite awards show? Drop us a note in the comments below! As a former actress, I adore the Tony Awards. I’m waiting for a chance to be a seat-filler or at least to attend the awards at least once. Till then, I’ll be watching from the comfort of my living room in my comfy PJ’s. I don’t watch awards shows, but I DO plan to get Kellye’s book ASAP. It’s been on my TBR list ever since I read the first, which I loved. Kellye, big congrats on Hollywood Ending — I know it’s going to be another big hit! My fave awards this year was Left Coast Crime in Reno. I enjoyed seeing my fab friends and fellow Chicks Kellye and Ellen accept their Leftys! Congrats on the book, Kellye! I got to read it, it’s great. As to going to the awards shows, living in L.A., I know tons of people who have. The verdict: friends loved the Grammys because of the acts. The Emmys are only fun if you’re nominated. Globes are great because both TV and film are represented, there’s a meal and booze, and a good chance you’ll run into a drunk celeb – like, literally run into them as they stagger by. The Oscars go on forever, everyone’s starving, and the venue is huge, but you can pee next to some legendary stars during the bathroom breaks. Congrats, Kellye, on number two! Yippee!! As for awards shows, definitely the Golden Globes, because I love the foreign press and I love how laid back it is. And who can forget that classic moment when Christine Lahti was called as winner when she was in the bathroom, and Robin Williams entertained the crowd until she showed up? I love all awards shows, I watch them all….big reason, the clothes and the glamour..
I’ve pre-ordered Kellye’s new book because it comes out on my bday! A bday treat for me. Yay, Mary Lou! And happy birthday next week!! I’m with Ellen, I really don’t care about the awards show. And for the exact same reasons she listed, too. I will admit this year that I have a couple of shows I watch with noms for the Emmy’s, but I still won’t watch. I’ll just read to see who actually won the next day (or that evening, depending on what else is going on). Kellye’s new book, however, has an awards show you won’t want to miss. I finished it earlier this week (must get the review written), and it is wonderful! Count me in as someone who doesn’t care about awards shows. I rarely watch TV or movies, which means if a celebrity wasn’t famous twenty years ago I likely have no clue who they are. I would have loved to have attended the Leftys though! And I love Lisa’s idea about a Chicks award show. That I would definitely tune in to. 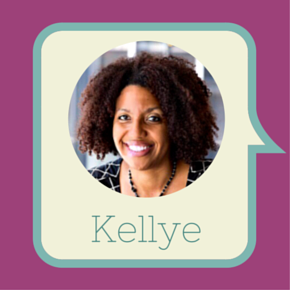 And congrats, Kellye! I’m looking forward to reading your new book. Congratulations, Kellye! It’s a wonderful read! I’m not a fan of awards shows. I like to see what every one’s wearing, but I can just look online for that.